Mohammad Balapour Receives the Drexel College of Engineering 2018-19 Carleone Award! 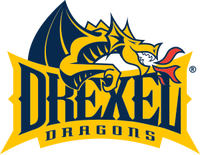 Congratulations to Mohammad Balapour, our ASIM Dragon Scholar, who has received the 2019-18 Joseph and Shirley Carleone Award from Drexel College of Engineering for his outstanding work in the Drexel ASIM lab. GAANN Fellowship Grant for Materials for Environmental Sustainability! Congratulations to Dr. Farnam and Drexel Faculty members on $1.3 Million Education Award from the Department of Education for Graduate Assistance in Areas of National Need (GAANN) for projects related to "Materials for Environmental Sustainability". This award is led by Prof. Caroline Schauer from Drexel Materials Engineering Department. Dr. Farnam Receives Drexel Faculty Summer Research Award! On May 23, 2018, Dr. Farnam received Drexel University Faculty Summer Research Award in Drexel faculty recognition dinner for his research on bio-inspired microbial self-healing concrete. This award provides tenured and tenure-track faculty members with the opportunity to pursue research activities that will enhance recipient careers as well as increase their contributions to Drexel. ​Ice and snow are removed from pavements for safety. Usually we use deicing salts or snowplows. These are costly and labor intensive. They impact the environment and damage pavement. We are searching for an alternative, sustainable solution. I will explain how we can use phase change materials in concrete to remove snow. ​Dr. Farnam receives an award form National Science Foundation (NSF) to study the production potential of lightweight aggregates (LWA) from unused waste bottom ash of coal electric power industry. Each year in the United States around 120 million tons of coal combustion products (e.g., fly ash and bottom ash) are generated of which 37% is reused. This has led to a large historical stock of unused coal ash stored in on-site surface impoundments. Production of LWA from unused bottom ash will result in conversion of waste material to value-added product that can be used for concrete and geotechnical applications. ASIM Group in collaborations with Dr. 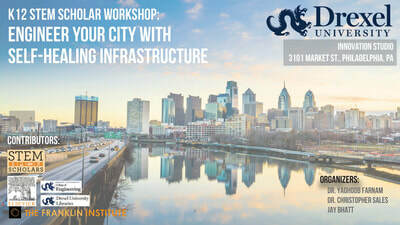 Sales's group, Franklin Institute STEM Scholar Program, Drexel Library, and Elsevier conducted a 2-day K12 STEM Scholar Workshop entitled “Engineer Your City with Self-Healing Infrastructure”. During this workshop, a group of high school students worked in teams, searched for information from scientific literature, performed experiment, and learnt how to use this information to come up with technological solutions to solve problems in their community. Students were taught to present their outcomes with an innovative way of preparing graphical abstract. Dr. Farnam presented "Evaluating the Potential Use of Alginate to Enable Microbial Self-Healing in Concrete" by M. Ksara, S. Keshani, E. Mayerberger, F. Althoey, C. Sales, C. Schauer, and Y. Farnam in the 6th International Conference on Self-Healing Materials, 25 - 28 June 2017 Graf-Zeppelin-Haus, Friedrichshafen/Germany. Phase change materials (PCM) can be incorporated in concrete pavement as a novel methodology to melt ice/snow over the surface of the pavement. PCM is an organic material that can be designed to store energy from ambient, applied or solar sources and the stored energy can be used during cooling events to heat up concrete pavements. In this movie, PCM was incorporated in concrete slab using lightweight aggregate (LWA) and its potential to melt snow was compared with reference slab with no PCM when the ambient temperature varied between 7 °C to 2 °C. 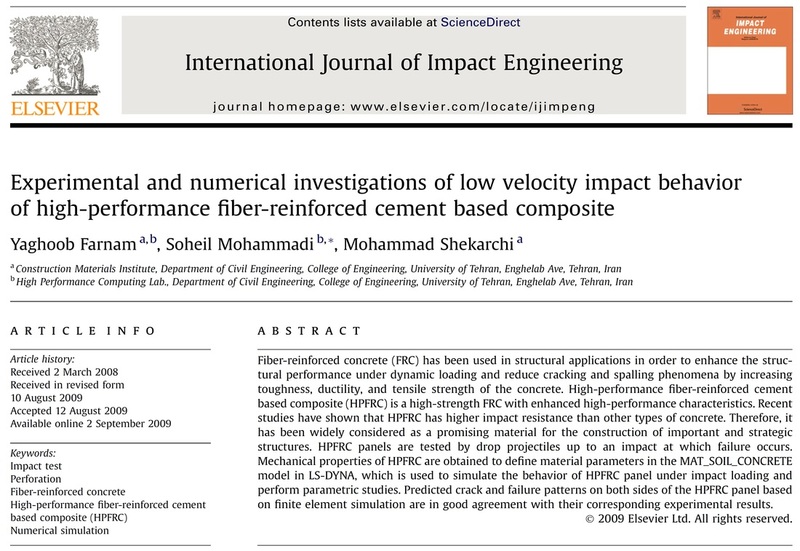 "Experimental and numerical investigations of low velocity impact behavior of high-performance fiber-reinforced cement based composite" by Y. Farnam, S. Mohammadi, and M. Shekarchi is announced to be among the most cited International Journal of Impact Engineering (Elsevier) articles since 2010, extracted from Scopus. Road Salt is Worse Than You Think! U.S. infrastructure continues to decay at an alarming rate, as exemplified by the low grades consistently awarded by the ASCE Infrastructure Report Card. While there are many contributors to the decay and degradation of our nation's transportation infrastructure, one that cannot be overlooked in many states is the annual winter application of deicing salts. We often use deicing salt to melt ice and snow after a snowstorm and to increase the safety, but is it bad for the environment? Dr. Farnam presented "Damage development, phase changes, transport properties, and freeze-thaw performance of cementitious materials exposed to chloride based salts" at Purdue University. Recently, there has been a dramatic increase in premature deterioration in concrete pavements and flat works that are exposed to chloride based salts. Chloride based salts can cause damage and deterioration in concrete due to the combination of factors which include: increased saturation, ice formation, salt crystallization, osmotic pressure, corrosion in steel reinforcement, and/or deleterious chemical reactions.